Shazam’s hilariously charming, disarming spirit is its superpower. Jack Dylan Grazer as Freddy Freeman and Zachary Levi as Shazam in New Line Cinema’s action adventure Shazam, a Warner Bros. Pictures release. Shazam has arguably the goofiest plot device in the long history of goofy superhero plot devices: In order to tap into his superpowers and transform into his superhero self, Billy Batson (played by Asher Angel in this movie), a 14-year-old runaway teen, must shout “Shazam!” into the ether and get throttled with a bolt of lightning. Saying that magic word grants him the wisdom of Solomon, the strength of Hercules, the stamina of Atlas, the power of Zeus, the courage of Achilles, the speed of Mercury (SHAZAM! ), and a body some 15 years older and at its physical peak (a very muscular and padded Zachary Levi, in this case). This trick works in a 30-page comic book, thanks to the brief length and silence of the medium. But a kid yelling “Shazam!” multiple times over a two-hour movie is a different story, one that risks rubbing the novelty thin from overuse. And so it’s one of live-action Shazam’s most impressive magic tricks that each time “Shazam!” is yelled — in a crowded mall, in a wizard’s looming lair, at a carnival, in a bedroom — it’s a welcome sound, even the 16th time. When Bill says the magic word, the sky opens its jagged jaws. Thunder groans. And when that white-hot bolt makes impact, toddler-faced Billy turns into the buff, super-speedy, lightning-wielding superhero known as Shazam. The razzle-dazzle transformation captures Shazam’s spirit in a nutshell: The most forgotten and seemingly powerless people can change the world. Like many of its fellow Warner Bros. Entertainment and DC Comics superhero movies, Shazam is an origin story. Even though Batman and Superman exist in this universe and are referenced multiple times, Billy needs to be a hero in order to save the world from a supervillain menace, starting with Philadelphia. But Shazam has less in common with the grim, grisly world of Batman v Superman and the indulgent marine opera Aquaman, sharing more with the likes of Harry Potter and a certain teenage superhero from a rival comic book company. In order to save the world, Billy needs to learn to care about the world — an especially tough ask for a boy whom the world has never cared for. It’s Shazam’s fidelity to childhood joy, tenderness in exploring feelings about family and parenthood, and loyalty to its seemingly silly source material that make it soar. Slightly surprising is that this winsome flick comes from director David F. Sandberg, who’s more well-known for menacing horror flicks, like Lights Out and Annabelle: Creation, that make you afraid to check under your bed. 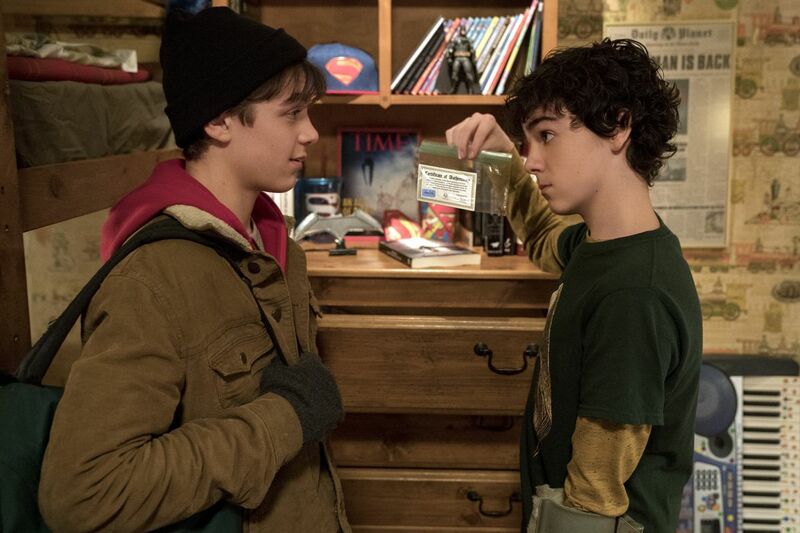 Asher Angel as Billy Batson and Jack Dylan Grazer as Freddy Freeman in New Line Cinema’s action adventure Shazam, a Warner Bros. Pictures release. The boy wonder of this superhero charm offensive is one Billy Batson, who was separated from his mother at a carnival years ago and never found her again. Billy is now a street-smart, mildly delinquent teen, roving around the neighborhoods of Philadelphia to find her again. While Billy is on the hunt for his mom, an aging wizard named Shazam (Djimon Hounsou) is looking for someone worthy and pure of heart to carry on the good fight against the demon forms of the seven deadly sins. And the wizard and his powers are desired by one Doctor Thaddeus Sivana (Mark Strong), a man who was rejected by the wizard when he was just a boy named Thad. Thad wants the wizard, the wizard wants a true successor (who may or may not be Billy), and Billy wants to find his mom, who — we don’t know if she even wants to be found. Because this is a movie about Billy and not any of the other kids who are pure of heart, it’s clear that Billy is Shazam’s chosen one, destined to inherit all of Shazam’s power and responsibility to keep the evils of the world at bay. We don’t know if Sivana knows that part of Shazam’s power transforms Billy into a ripped Levi, but he knows that he wants whatever it is the wizard has. Suffice it to say, this complicates matters for Billy’s latest foster family, Billy’s very important search for his mother, and Sivana’s nefarious plans. To be clear, this is lofty, fantastical, and silly mythological stuff. The original Shazam comics were doused in camp and whimsical adventures, so that’s no surprise here. 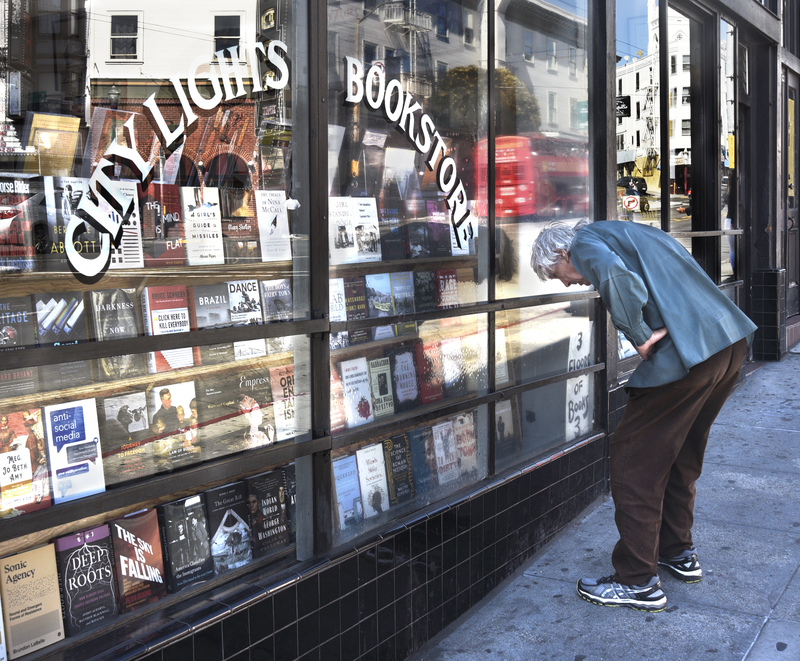 But the movie commits to its source material, instead of shying away from it. 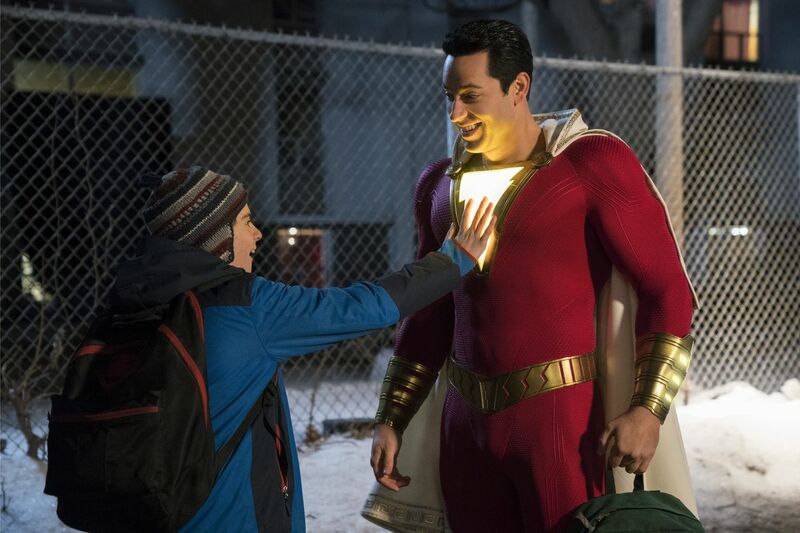 Billy’s transformation into Shazam (and thus Angel’s transformation into Levi) is the movie’s central and hypervisual gag: a boy walking around in the body of a superpowered man. Shazam has the unmitigated power of Zeus himself but maintains the spirit of a kid. It’s a riff on the body-swapping we know from Freaky Friday or Big. 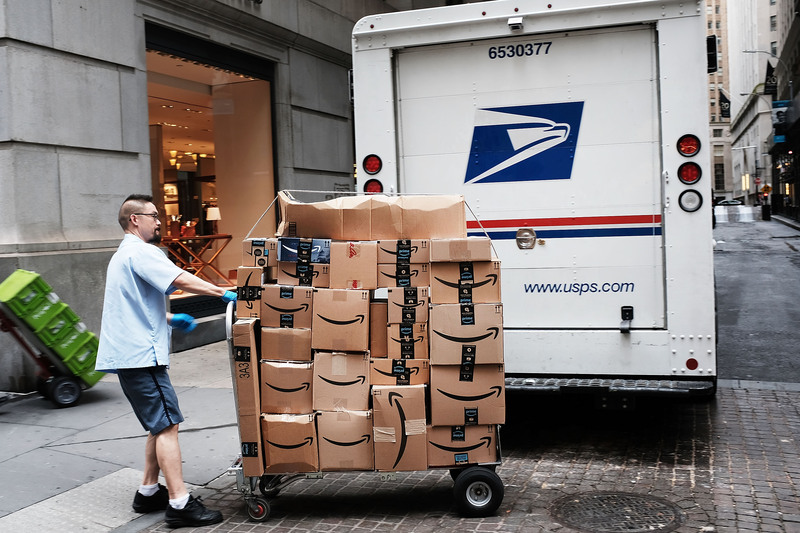 Sandberg ably uses the premise to imbue the movie with humor, as Billy can use his newfound ability to buy beer for the first time or skip school — or, as any teen would with the gift of superpowers, turn his superpowered alter ego into an influencer on YouTube and Instagram. Lightning bolts are awesome, but so are fame and followers. The optical illusion allows Levi to be tall, dark, and awkward, instead of, say, a ripoff of Chris Evans’s dashing and swoon-worthy Captain America. The goofiness grounds the hero in comedy. Superhuman feats, like being faster than a speeding bullet and more powerful than a locomotive, are cartoonish without the proper training, and Levi is more than game to lend himself to the physical humor of being shot in the face for the sake of giggles. Like any good secret, Billy can’t tell his foster parents about his new power and can only confide in his circle of friends. That circle begins and ends with Freddy (Jack Dylan Grazer), Billy’s best friend and foster brother, one part of a bigger foster family, along with the extremely adorable little sister, Darla (Faithe Herman), that tries to welcome Billy into their home — a rather difficult feat, considering Billy has run away from every foster home he’s been assigned to in the past. Being a fan of Superman and Batman (for some reason, Wonder Woman is not fully acknowledged in this universe), Freddy is amped about his best friend’s powers, and begins a battery of tests — fire resistance, teleportation, and super strength, to name a few — to determine what kind of powers Billy has as Shazam’s heir. Some tests work better than others. Each moment is absolutely joyous. These scenes ensure that Freddy walks off with the entire movie. Freddy is one of the best arguments for Billy to stop running away, since he knows what Billy’s going through — well, before he gets the wizard powers — and a thing or two about feeling unloved. He’s the closest thing to a friend Billy has had in a while. Screenwriter Henry Gayden gives Grazer the movie’s funniest lines, knowing that humor and comedy are ways to approach sensitive ideas, like children talking about feeling unwanted after being abandoned by their parents, or what it’s like to live with a disability. Grazer shows glimmers of vulnerability — sometimes it’s just a small slowdown in delivery or a tense lip — beneath his character’s scrim of sarcasm and irreverence. The movie’s best parts are when it reminds you that Billy and the people all around him are children. Less fun, but more powerful, is when you realize that 14-year-olds still haven’t learned responsibility. Shazam and Sandberg don’t forget that kids can have their rotten moments and that their feelings aren’t any less valid because they are kids. Shazam allows its hero to be selfish and impulsive and jealous. Billy figures that, especially since Superman and Batman exist, someone else can deal with saving the world (again: Philadelphia). Who knew (besides anyone who witnessed Star-Lord’s temper tantrum in Infinity War) making a point of responsibility is ultimately more effective when you have a grown human acting like a child? 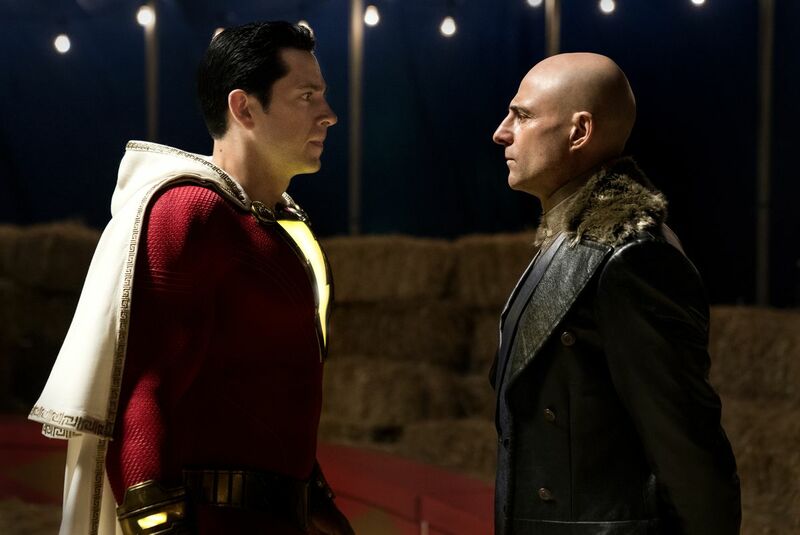 Mark Strong as Dr. Thaddeus Sivana and Zachary Levi as Shazam. Much has been made of Warner Bros.’ difficult foray into superhero smashers post-Christopher Nolan. 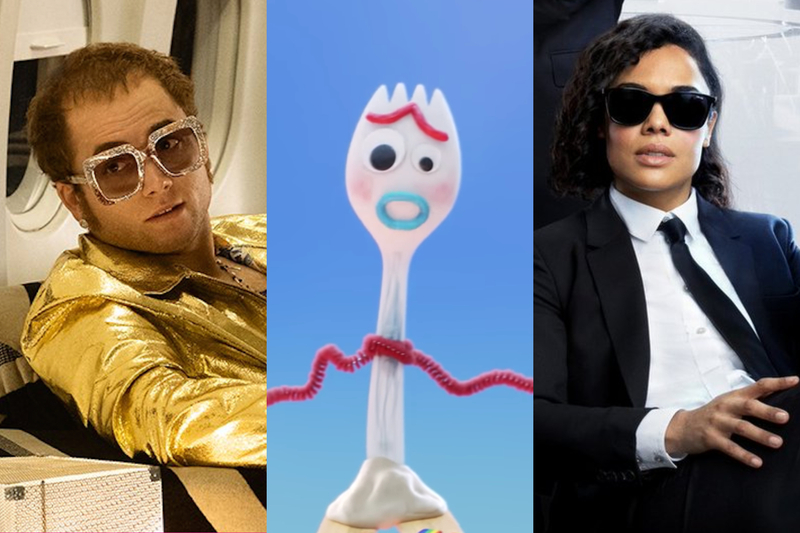 The studio can make movies that can make a lot of money, but it hasn’t found consistent footing when it comes to critical praise. The 2013 Man of Steel was met with mixed reviews. The best thing about 2016’s Batman v Superman: Dawn of Justice was Wonder Woman. Wonder Woman, released in 2017, was a history-making success, followed by the cinematic meh that was Justice League. Then, at the end of last year, Aquaman’s overstuffed epic surprised and dazzled audiences. It’s not that the movie’s buoyancy alone makes it so stellar; fun doesn’t always outweigh grimness. Nolan’s The Dark Knight is grisly, powerful, and the pinnacle of superhero storytelling. This is instead a matter of execution, and Shazam’s hilarious script and unflinching commitment to the earnestness of its comic book source material work in tandem to deliver the joyous high notes it’s going for. Had it been deficient in either, the experience wouldn’t have been as charming or entertaining, or as touching. Superheroes, at their best, have an uncanny ability to deliver lessons about life in ways that teachers, parents, mentors, or religion can’t. Sometimes that’s about great power and responsibility (Spider-Man), hope (Superman and Wonder Woman), or discrimination (the X-Men). At its heart, Shazam is about who we call family and how family reflects who we are. In Shazam’s case, it’s very literal for Billy, who doesn’t have an attachment to the foster families he’s running from. 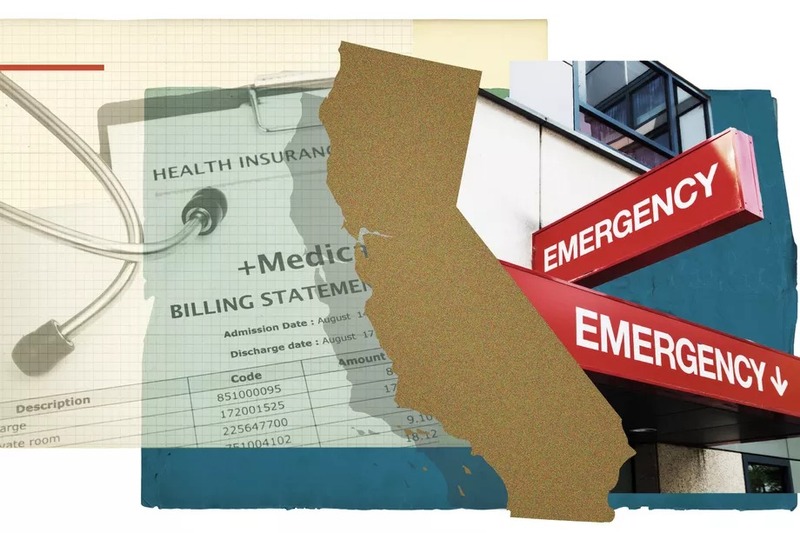 But even for those of us who aren’t street-smart foster kids, and who have lived lives full of love and support, there’s a very human yearning and hope that we’ll find more people like us. That humanity is what Shazam is fluent in. And if we’re lucky, Shazam assures us, we can share a little bit of that magic, our magic, with others. 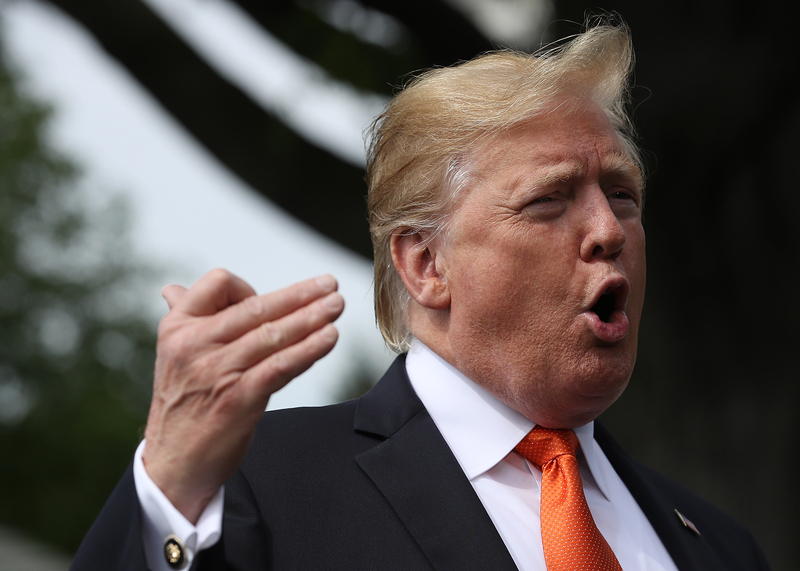 Trump’s tweets are getting more unhinged After the Mueller report’s release, Trump tweeted that he’s "never been happier." Then things took a turn. The Democratic establishment should chill out about Bernie Sanders He has a long track record as a fairly banal, reasonably effective, and reasonably popular legislator. This Article has a component height of 48. The sidebar size is long.